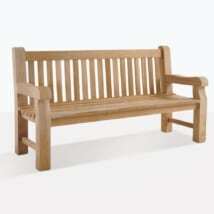 If you want to relax in style, the Ovalback 3 Seat Teak Garden Bench is the perfect choice for you! 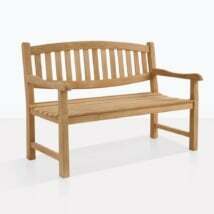 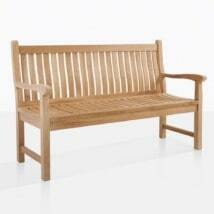 Classic, neat and dignified; three words to describe our stunning modern take on the traditional teak garden bench. L71" x D26" x H38"
The dynamic design features an elegant curve at the top and base of the back piece, with vertical slatting in between as well as on the seat, providing a comfortable seat and appealing design you will treasure. 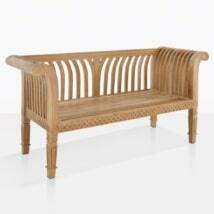 This charming Ovalback collection also features a 2 Seater Bench, as well as the Ovalback Side and Arm Chairs. 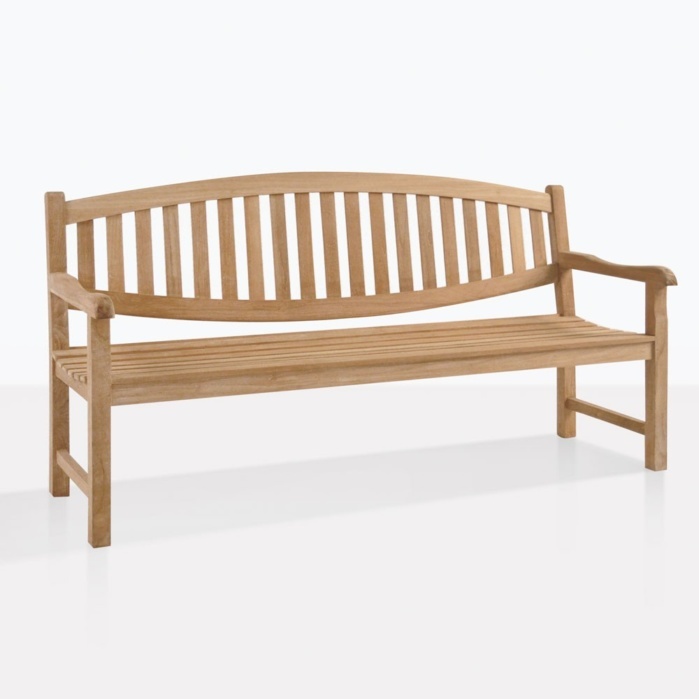 Create a modest seating set for your porch; place the Ovalback 3 Seater as the centerpiece, with a low-lying Classic Coffee Table and 2 Ovalback Arm Chairs and a 2 Seater Bench facing inwards for a superb spot to enjoy the sun with your nearest and dearest. 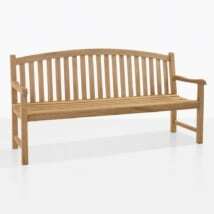 The Ovalback 3 Seat Teak Garden Bench comfortably seats 3 people and is made of durable, sustainable A-Grade Teak – a product known for its incredible long life as well as beauty!